The Guru Purnima is a day that all around the world, spiritual aspirants offer gratitude to their respective Gurus, for Gurus are the ones who are guiding them in the stream of human life to attain the higher goals of life. On the occasion of Guru Purnima of 2013, i was thinking in all probabilities what can be offered to the Guru, who is working day and night for the welfare of others, whose priority has always been the Creator and the welfare of the Creator's creation. Apart from the overwhelming gratitude towards this Savior anything else will not come closer to any other offering that one could chose to give. With gratitude flows love. Guru Purnima is a very ancient celebration offered to the Guru on this auspicious full moon day. i cannot imagine what a magnificent activity would it be, subtly, when millions are connected to the Guru Tatva though their beloved Gurus. One can imagine how charged the atmosphere would be and how wonderfully aligned and connected we could be, that is, if we allow ourselves to. No doubt this day is celebrated in many forms, from pujas, havans, fasting, chanting, meditation and even the physical worship of the Guru and His Holy Feet. Different people connect in the different ways, often which suits them the most. But the essence of it and the opportunity of utilizing this divinely charged day (and night) should never be given a chance to be lost in anything that deviates one from the true essence of the Guru Purnima. The real essence that Baba always teaches and encourages is the subtleness of every activity, including connecting with Him, the bhaav, the emotions, the intentions, the true spirit...... the underlying honesty in it all. 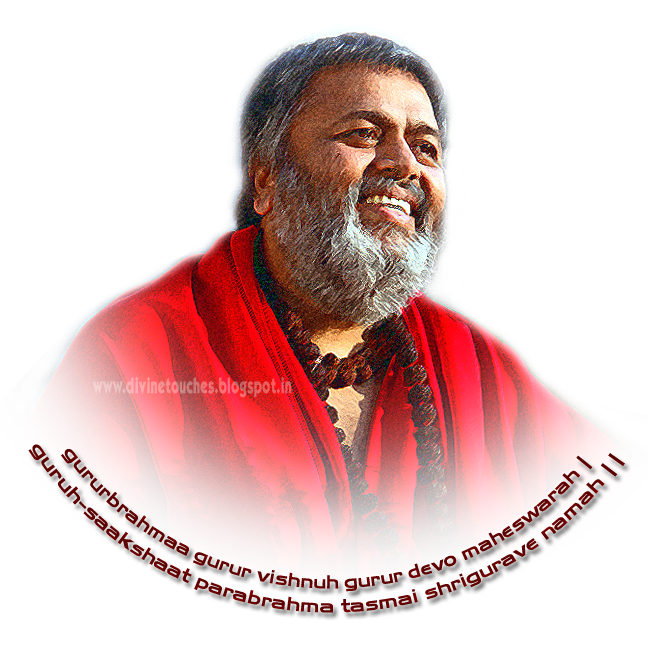 For me Guru Purnima is a totally personal celebration with the Guru. Of course, for spiritual aspirants, there are no days when they do not remember their Gurus, but this day is a time to sit back for a moment and contemplate. Contemplate on Him. Contemplate on your life. His effect on your life. His entry into your life. His presence in your life. Just being aware of the immense blessings of the Almighty who answered your prayer and sent a form named Guru to your help. The mysteries of the Guru principle and how they work and are working wonders so powerfully yet so subtly that they often are hardly noticed or acknowledged. These are the times i sit back and only think with awe how mightily powerful Baba is, yet moving around the world with utter humility. These are the times i admire the beauty of His life. These are the moments when words fail to describe any aspect of Him. The real moments when no praises need to be sung for Him, no offerings to be offered, no questions to be asked, no answers to be given, no prayers... nothing. Just left with the overwhelming gratitude that flows all over during the silent and powerful contemplation of Him. If this is done, there is no separate need to activate the bhaav or emotion for emotions come with love, with gratitude. Hence, connect with those moments that were blessings in your life, that were magical, that were life-changing, life-saving, whatever.... Just silent contemplation cane make you intense with such moments. If you are intense with this feeling, know that He is around, watching and knowing it all from you. This is the kind of connection Baba mentions with "Call me and i will come." It is not the calling with thoughts of despair or crying for these emotions only lower one's vibrations and nothing of higher vibration can be connected to. Rather simply sit and simply be aware. Simply walk and simply be aware. Since there were many messages i received on what to do. 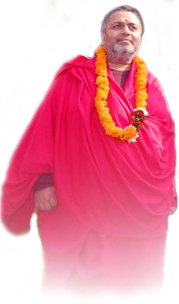 There is nothing much to do, actually with the Guru in your life there is nothing left to do (do not misinterpret this). This is the language of Silence! Not just verbal silence, but physical, emotional and mental silence. What can to be done for Him or what can be said to Him? Nothing. This nothing is the best gift one can offer Him. Just "being" or call it "awareness" is enough to offer Him everything. Then, the celebration begins, the real celebration of Guru Purnima. And, when you do this, it is surely received instantaneously by Him than the time and efforts one would try to meet Him and offer Him something, or speak to Him and say something or send Him something. He needs nothing. Yes, he needs our "nothingness" that i mentioned here few lines before. Or you may translate that into "silence" or "awareness" or "just being". In this celebration (of course Guru Purnima can an every day occasion; it's your choice after all) as i one night sat in such a celebration, a beautiful tune flowed through me and with it flowed a few lines in Hindi. i was quick to pen it down and preserve it for a song composition at the next opportunity. Then, as i thought of writing something for Guru Purnima on this blog that has been silent for quite some time, i thought i must share these thoughts. So, i wished to translate it into English which i initially thought it would be a difficult task to match it's exact meaning and at the same time to rhyme it.... but in that celebration, i watched the Hindi lines translate before me through the pen straight into my diary in a few minutes. Then, i realized it wasn't me who wrote it and i wouldn't say Baba wrote it, but it sprung from that "something" that erupted from the joy of the "nothing" celebration with Baba. So, sharing it for those who understand the true meaning i am attempting to communicate with this article...Stay blessed! The shade of your love we soak. At Your feet only to be drenched matters. To hidden treasures of joys we never knew. Choosing happiness at every little chance. "My salutations to the Guru who is Brahma, Vishnu and Maheswara. The Guru is God incarnate"